In what will come across as a really shocking development, a woman has cut open her own stomach over labour pains in Bauchi. 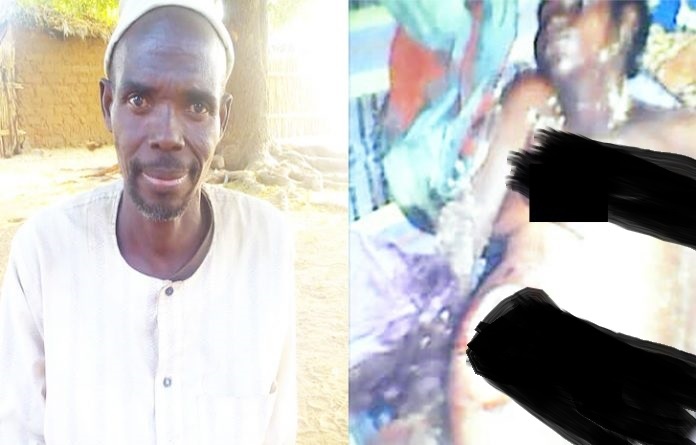 Residents of Bedi community in Bauchi are still battling to recover from shocks over the tragic death of 42-year-old woman in Bauchi, Hassana Muhammadu, who cut her stomach with a sharp razor due to intense labour pains. Hassana,an indigene of Bedi village in Ganjuwa local government was married to Mallam Muhammadu Maikudi, a trader and the union was blessed with seven children. Sources in the village say that Hassana was previously married to another man who she had two children before she remarried Mallam Muhammadu. Daily Independent reports that the unfortunate incident, which threw the residents of the community into shock, happened on the 27th of January 2019, around 8pm. On that fateful day, there was no inkling that the deceased who served her husband and his friend food earlier in the afternoon will decide to resort to cutting her stomach open because she was suffering from labour pains. Her husband, who narrated to Daily Independent how the incident happened, said that he was still in shock and could not believe that his wife could go to the extent of taking her own life. “I got a call from a neighbour that my wife wanted me to come home because she was not feeling well. When I got home, I met her in intense labour pains, so I decided to call a traditional birth attendant who can assist her with the labour, but my wife insisted that I should call her junior sister who lives nearby to attend to her. He expressed sadness over the incident, saying that his wife had been suffering from mental disorders which made her to always isolate herself from people. According to a source , Hassana does not associate with other women and always kept to herself. The village head of Bedi community, Muhammad Idris, expressed grief over the incident, saying that such a thing has never occurred in the history of the community. “I saw the woman lying in her pool of blood with her stomach torn open. At first I thought she fell down or she was attacked by someone, only for me to be told that she used a razor blade to tear her stomach open because she was in pains. I decided to arrange for a vehicle to convey her to the hospital for treatment, unfornuately on getting to the hospital, we lost her,” he added.